Stitch this seaside beach and lighthouse design with scripture verse. 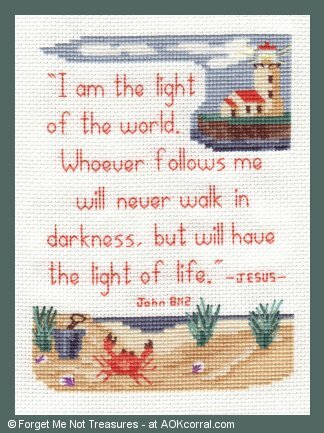 If you like to cross stitch, love the beach, and enjoy being inspired by Bible verses, this pattern is for you. Stitch and frame as a picture or stitch the design on a craft project. *This version includes the full design with beach, lighthouse and Bible Verse.